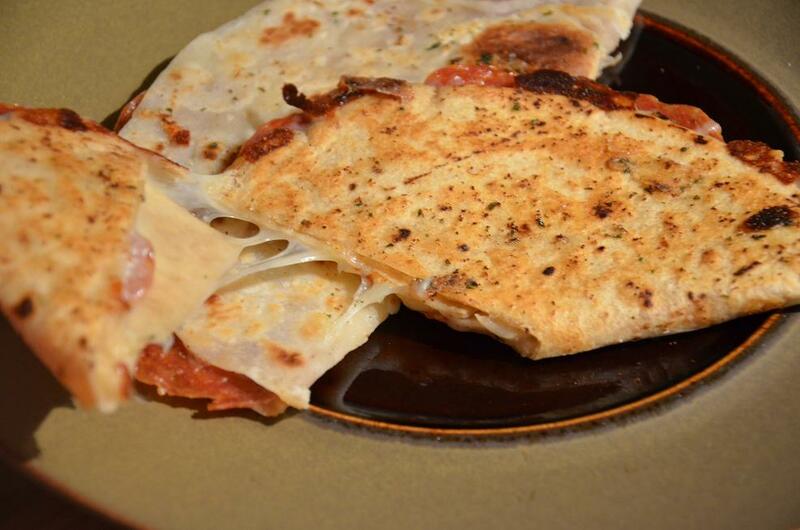 Recently, while watching football and multitasking (drinking a fabulous craft brew and browsing online for all things Pinterestingly edible), I saw a photo of pepperoni quesadillas. I have been known to stuff a tortilla with many a flavorful combination in my years, but somehow this one escaped me. And the beauty of a tasty marinara as the perfect accompaniment…my mind began to wander to things I would do to take this concept over the top. I don’t know about you, but I love the pepperonis on top of the pizza that have flown too close to the fire (not buried under ingredients that suffocate them, rendering them unable to reach their beautifully crispy potential). To me, one of the best things about a pepperoni pizza is pulling one of those bad boys off the the pizza, a gooey string of cheese trying unsuccessfully to tether it to the mothership. Crunch, crunch crunch. For this recipe, I decided to pre-crisp my pepperonis. 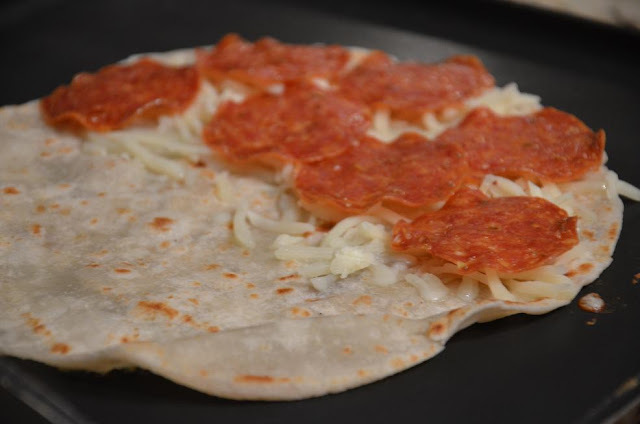 I also experimented with another quesadilla with pepperoni straight out of the package and it was quite yummy as well. So I guess this boils down to personal preference. And, convenience. But I did discover, in the process, that pre-crisped pepperonis make a nice crunchy snack, and they may be reincarnated in future recipes. 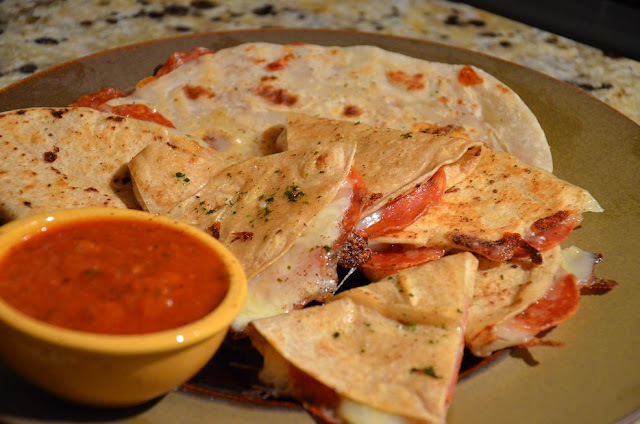 These are truly easy if you take the shortest shortcuts (simple cheese, tortillas and pepperonis), but I enjoyed the flavor boost from the extra steps. Whichever way you make them, they are still quick and easy. These would make a great football snack, too! Heat olive oil, add onions and garlic. Sautee until translucent. Add the remaining ingredients, and bring to a boil. Simmer on low heat for 30 minutes. 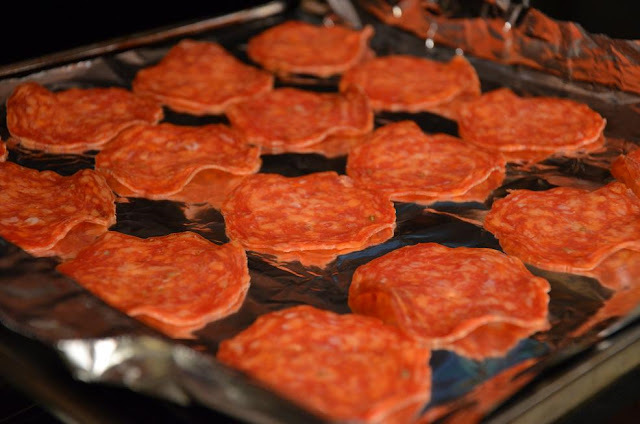 Line a baking sheet with foil, turned up on the edges, as pepperoni can get a bit greasy when it cooks. Arrange pepperonis close together. Cook in 400 degree oven or toaster oven for 5-10 minutes. Some pepperonis are thinner than others and crisp up quickly. Watch closely! Remove from heat when finished. Melt butter in a small bowl, add 1 tsp. parsley and ½ tsp. garlic. Stir to combine. Heat skillet or griddle to medium. Brush a tortilla on one side with garlic butter mixture. Place tortilla butter side down on the skillet. Cover the tortilla with cheese (1/8 of your total amount) and ¼ of the pepperonis. 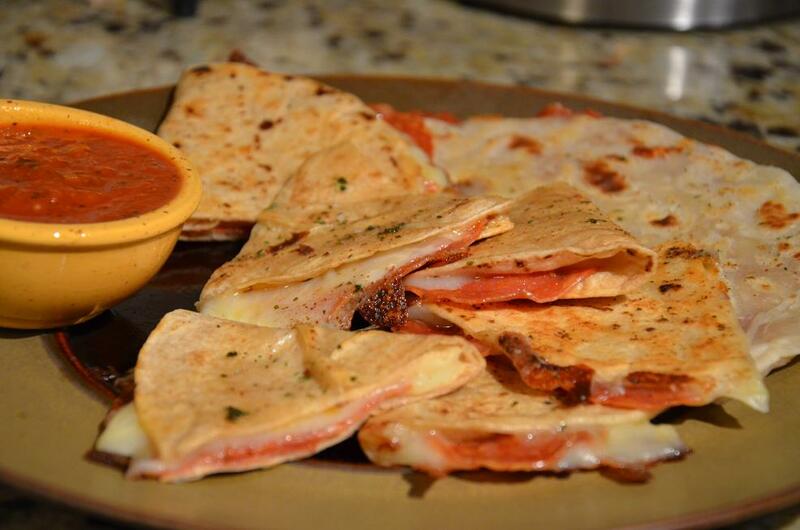 Cut each quesadilla into 6-8 slices. You can use a sharp knife or a pizza cutter for this. 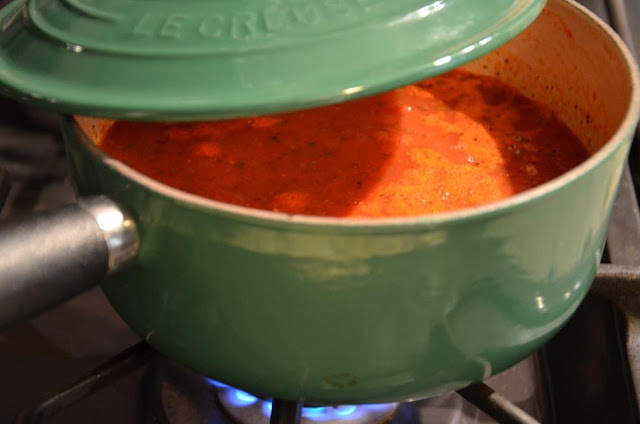 Serve with warm marinara, and ENJOY! 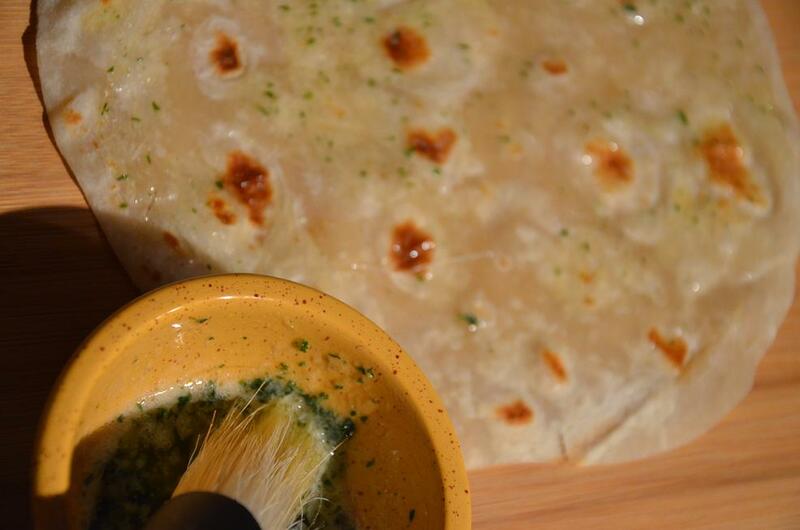 oh my NOM NOM NOM this looks great ness i cant wait to come home for some of this cooking keep up up the good work!